This traditional oak room divider is ideal for creating a cosy, country cottage interior. 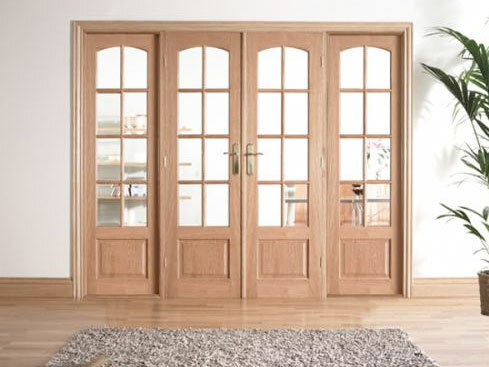 The warm, natural wood and timeless styling make these internal French doors a really popular choice. They will let in the light and also offer the option to open up or close off your living space as you desire. You will enjoy a warm and inviting environment perfect for family life if you choose to add these room dividers to your home. All internal French doors come complete with frame pack, door leaves and installation instructions. Hardware pack is not included. The traditional oak room divider range has an engineered core, ideal for thermal efficiency, strength, durability and value for money.